Are you getting scammed by the acne treatment you’re using? If you’re not getting results, it could be that your product doesn’t have the right ingredients in it. 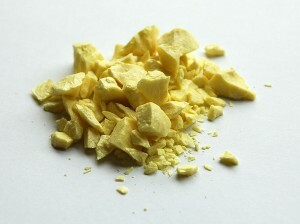 With so many shady companies out there giving conflicting information, it’s hard to know what compounds really work. To help you cut through the marketing jargon and find the best acne treatments available, we want to show you what experts are saying about the ingredients that get the job done. Many people who use this ingredient experience discomfort and burning but that shouldn’t over shadow just how effective Benzoyl Peroxide can be. 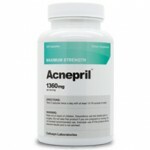 This compound works by peeling away skin and accelerating skin turnover. By sloughing away dead skin, Benzoyl Peroxide kills bacteria, clears debris, and routes out contaminants from pores to support healthy, acne-free skin. When looking for products that contain Benzoyl Peroxide, it’s not really necessary to purchase anything with a formula containing more than a 2.5% concentration. Interestingly enough, a study in the International Journal of Dermatology showed that a 2.5% concentration was just as effective as 5% and 10% concentrations and had less propensity to cause burning and irritation. Paying for formulas that contain 5% and 10% concentrations is not the most cost effective way to spend your money. 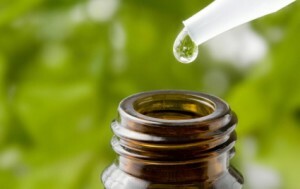 Tea Tree Oil has always had a reputation for its antimicrobial abilities, but for years it was said that its skin benefits were merely anecdotal. 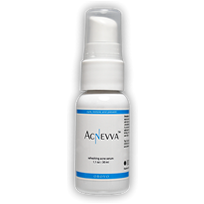 This has been changed recently as more and more clinical studies are coming forward confirming this extract’s ability to heal wounds, support healthier skin, and, perhaps most importantly, fight acne. One study done by the Department of Dermatology at Royal Prince Alfred Hospital in Australia showed that a 5% concentration of Tea Tree Oil was just as effective as a 5% concentration of Benzoyl Peroxide at treating acne. Researchers claimed that both “had a significant effect in ameliorating the patients’ acne by reducing the number of inflamed and non-inflamed lesions.” Their findings indicated that Tea Tree Oil acted more slowly than Benzoyl Peroxide but caused far fewer side effects. 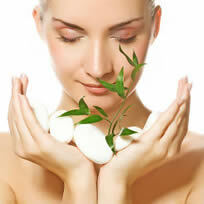 Salicylic Acid is a popular acne treatment and for good reason. It works as a peel, getting rid of dead skin and clearing debris. It does this by acting as a keratolytic, meaning that it causes the epidermis to more readily shed and flake away. This in turn opens clogged pores and eliminates the bacteria inside. Some studies have also found that Salicylic Acid can prevent pores from re-clogging by narrowing the diameter of pores while simultaneously creating room for new cell growth. One study that showcased the power of Salicylic Acid was published by the American Society for Dermatologic Surgery. Over a 12-week period of biweekly Salicylic Acid peels, researchers observed that this ingredient decreased the amount of inflammatory and non-inflammatory acne lesions. The results were directly in proportion to the duration of the treatment. The test subjects reported that side effects, if any, were tolerable. Salicylic Acid, because of it’s exfoliating properties, is also one of the best blackheads treatment options, unclogging your pores and brightening your skin. Though this ingredient may not smell the best, it is actually very effective. In many ways it is similar to Salicylic Acid and Benzoyl Peroxide in that it helps the skin shed dead cells and slough away debris. By clearing these dead skin remains, Sulfur can get inside the pore where it can work as an antibacterial agent, eliminating acne at its source. This inexpensive ingredient has been proven to suppress acne lesions just as effectively as far more costly ingredients. It is especially potent when combined with Benzoyl Peroxide. The Canadian Medical Association published a study that showed mixtures of these two ingredients could help even those with severe cystic acne experience excellent suppression of acne eruptions. Prolonged use of this mixture helped subjects in these studies get their acne fully under control within a matter of months, sometimes in a matter of weeks. The ingredients mentioned above aren’t the only compounds that will help you fight acne but they are a good place to start looking. They are all effective, each is inexpensive, not one of them requires a prescription, and they cause limited – if any – side effects. You should definitely make these compounds a priority when considering which acne products to purchase in the future.